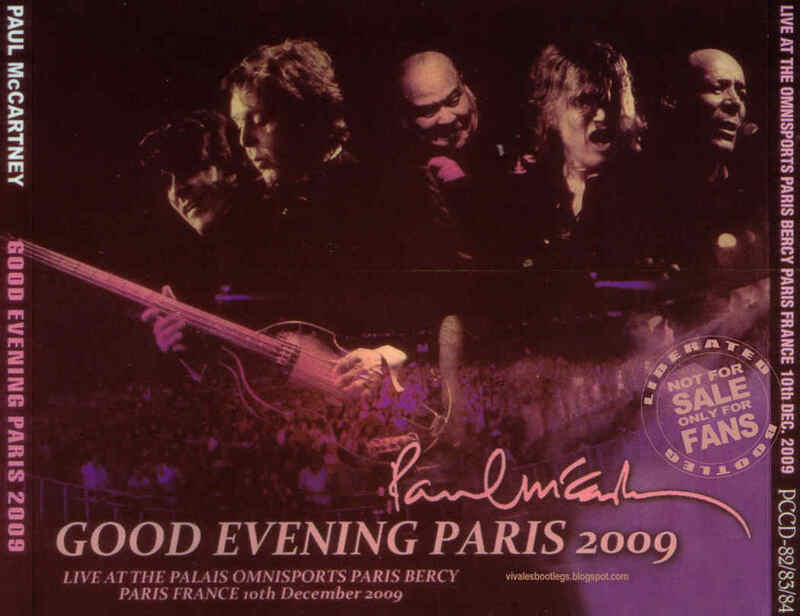 Recorded Live at Palais Omnisports de Paris-Bercy , Paris , France - December 10, 2009. Excellent Audience Recording :: Bootleg Silver CD/s :: CBR 320 kbps & SHN . 07. Back In The U.S.S.R. Files: 40. :: Size: 409,60 MB (mp3) / 1.3 GB (lossless). 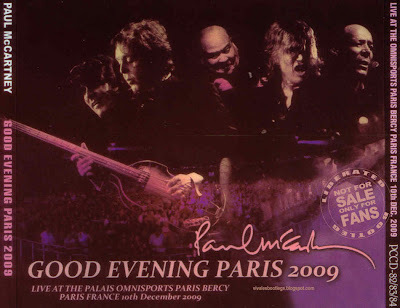 Personnel: Paul McCartney: vocals, guitar, piano :: Brian Ray: guitar :: Rusty Anderson: guitar :: Paul "Wix" Wickens: keyboards :: Abe Laboriel Jnr: drums . 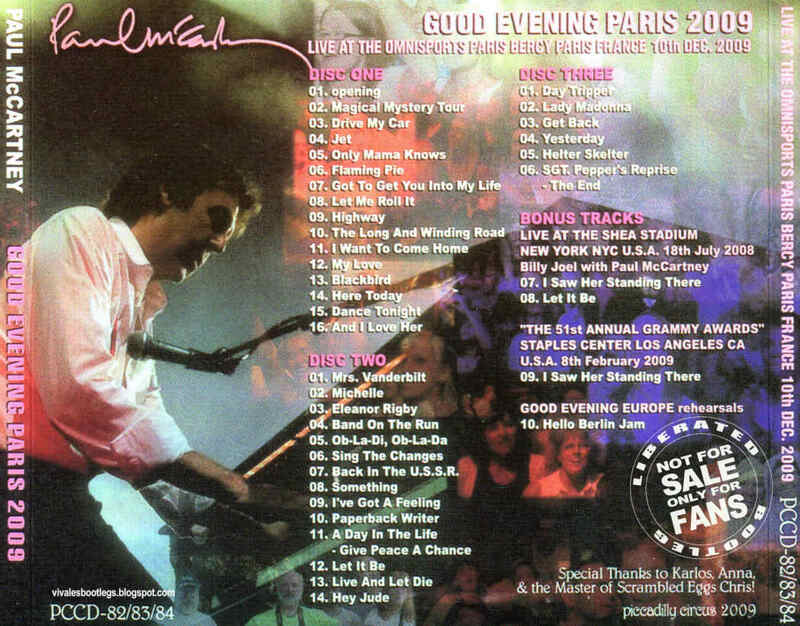 Notes: Great audience recording, Very good sound quality :::: Bonus tracks : Live at the SHEA STADIUM, New York, NYC, U.S.A. 18th July 2008. Billy Joel with Paul McCartney 07. I Saw Her Standing There / 08. Let It Be :::: "The 51st Annual Grammy Awards" Staples Center Los Angeles CA U.S.A. 8th February 2009 :::: 09. I Saw Her Standing There, Good Evening Europe rehearsals :::: 10. Hello Berlin Jam.<-(Info taken from original nfo file). Great show, great site! MORE McCartney please!!! !